Driving up Sliderock Mountain is not for sedans. 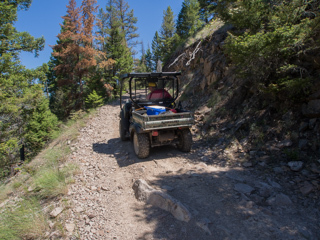 The switchback on Brewster Creek Road is notoriously rocky and rutted. At some points the road is tipped off to the side, with gravity slowly pulling the road down into the canyon.